We were so excited to meet talented food blogger, cook, writer, and photographer Amanda Biddle at the Fancy Food Show in NYC! Her gorgeous food blog, Striped Spatula is full of great recipes and helpful resources. 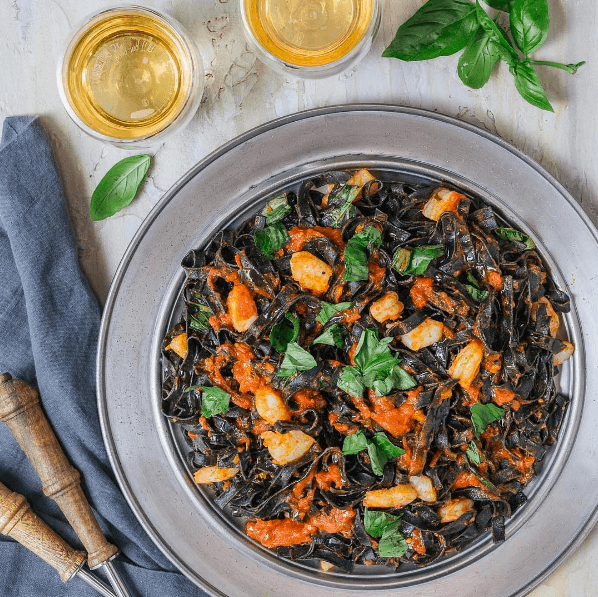 She whipped up an incredibly delicious looking dish with one of our bestsellers: Squid Ink Fettuccine. Check it out on her Instagram! What are your Friday night dinner plans? We’re having #squidinkpasta (@aldentepastaco) with San Marzano Tomatoes, shrimp, and fresh basil from my garden. Pair it with a chilled glass of Pinot Grigio.Dinner’s at 7. Don’t be late!